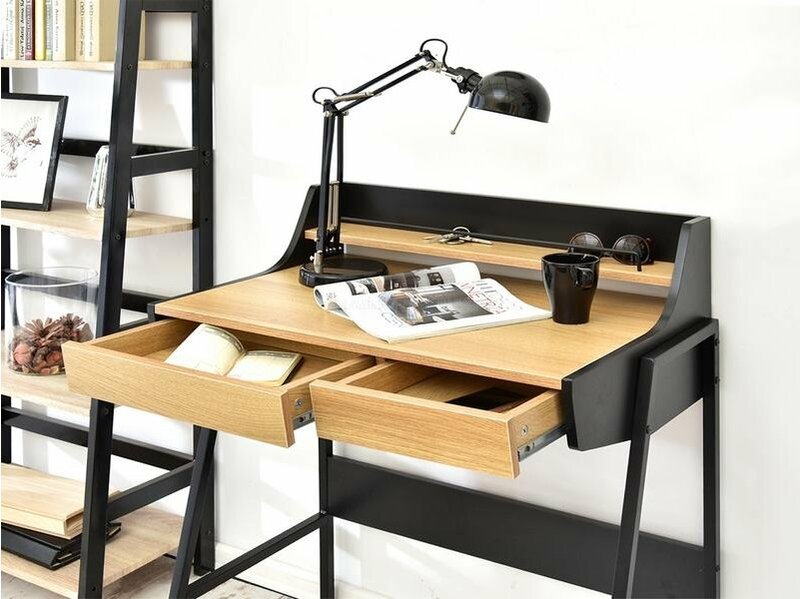 Designer and functional, plus attention grabbing due to the base of steel and MDF. A little boho, a little mid-century, and a bit vintage - it is not important, it is more important that it looks wonderful. It may already be in your studio or office. 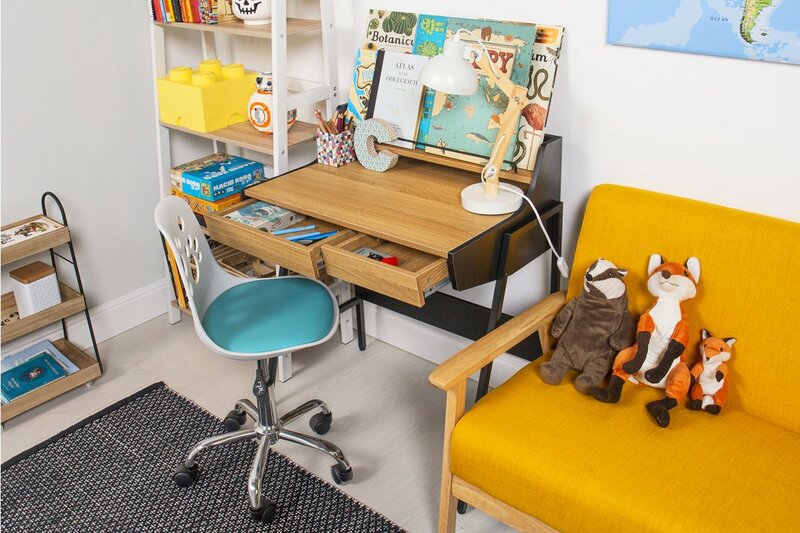 A solid piece of furniture is a fully functional worktop with two practical drawers underneath and a more practical extension - a shelf for example for a monitor or a book. Under the shelf there is a gap that will help you organize the wires. 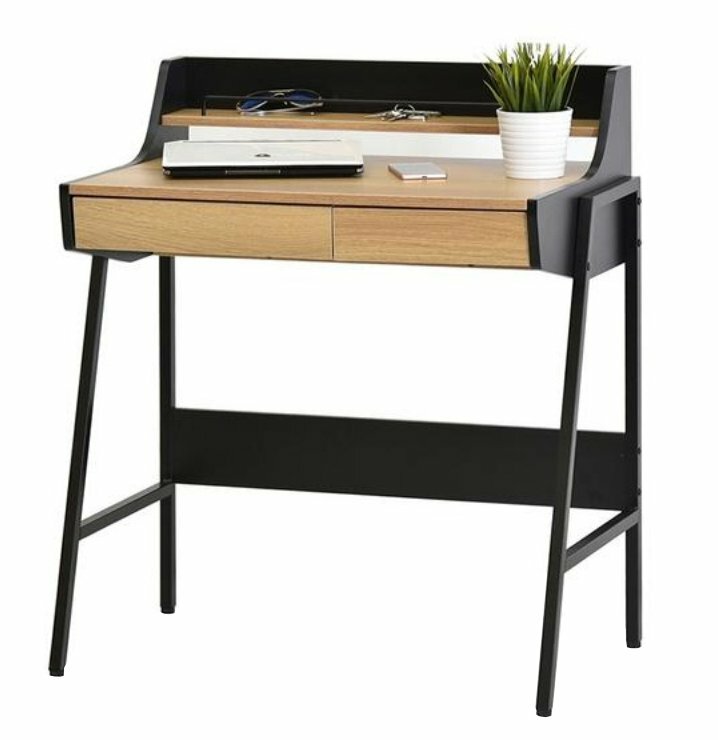 The desk body was made of MDF covered with plastic veneer, which imitates natural wood, but at the same time, being resistant to scratches and temperature, protects the furniture. The steel legs are extremely durable and provide the structure with a stable base. The MDF board was also used in the construction of the base. 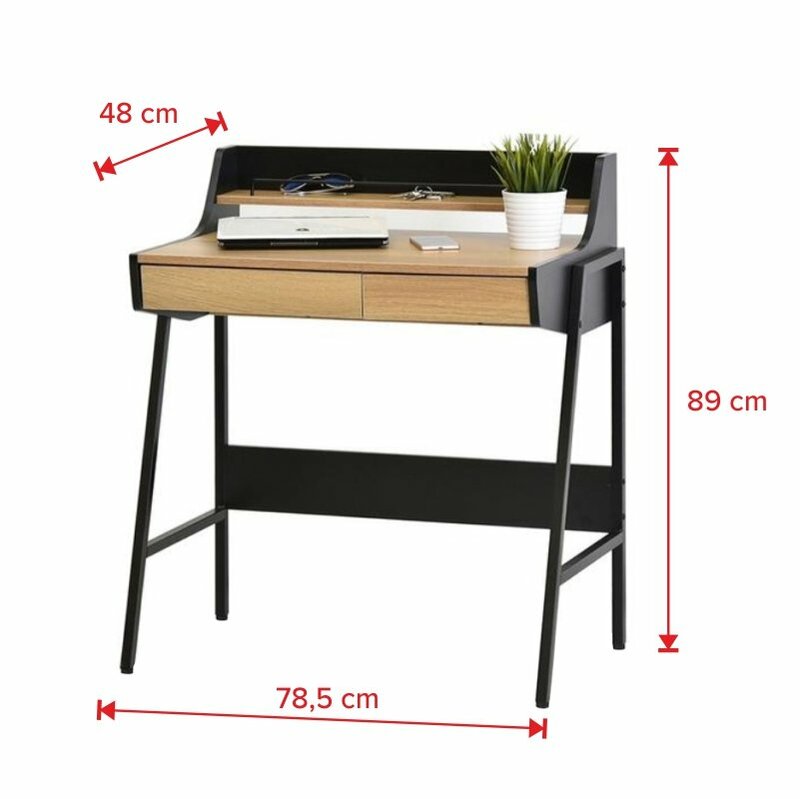 Additional dimensions:height of the extension: internal 5 cm, external 6.5 cm, surface of the extension: 70 x 10 cm, height to top: 74.5 cm, height to the drawer: 64.5 cm, surface of the countertop: 73x48 cm.